As the water from the Mediterranean Sea slowly washes onto the shore on one of Israel’s most well-known areas, there is a sense of calm in the air. The palm trees sway as a light breeze reaches land. If you didn’t know any better, you would think you were in the Caribbean or Miami. On a normal day, Tel Aviv is thriving with its persistent tourism industry. But inside of Israel’s most modern city, business is booming. Known as Startup City, Tel Aviv is home to dozens of technology companies. With major corporations such as Samsung and Google creating offices in the greater Tel Aviv area, the economy is on the rise in the area known by many as Eretz Yisrael (the land of Israel). The city’s culture is vastly different from the rest of Israel. The night life is electric, with people dancing and drinking throughout the area. The laid-back environment is a place of relief for many, rivaling Manhattan’s night scene and San Francisco’s Silicone Valley reputation. 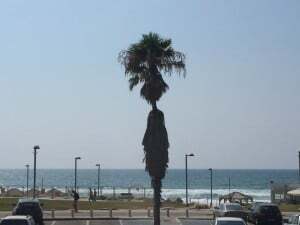 In the span of 35 minutes, one can reach Tel Aviv from the massive port city of Ashdod, which sits approximately 41 km south. Alon Day, 24, grew up in Ashdod, but as his life changed drastically, he moved to Tel Aviv, attempting to broaden his opportunities in the world of motor sports. Yes, motor sports in Israel. Sports in Israel usually means basketball or soccer, not racing cars. However, for Day, his career path is quite different. Just four years ago, the Israeli driver made his way across the Atlantic Ocean to America, competing in the Indy Lights Series. In doing so, he became the first Israeli to be licensed to race in any IndyCar Series event. But after seven starts, he was out of his Belardi Auto Racing ride. “It was absolutely the first time [I raced in America],” Day told Frontstretch. “I came over from Formula 3, which is super big in Europe. I wanted to move forward. Unfortunately, Europe is kind of a boring place for motor sports. America is making everything much more entertaining and fun. That was one of the parts of the decision that I made. Fast forward to last year as Day embarked on his inaugural season in stock cars. The journey started as he signed with the Italy-based CAAL Racing, becoming a teammate to Eddie Cheever III and Nicolo Rocca. 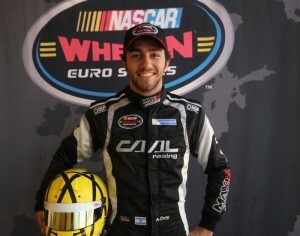 Making his Whelen Euro Series debut at Valencia, he finished ninth in his No. 54 Chevrolet. When the series reached Round 6 at American SpeedFest, Day recorded his first podium finish, ending the day in third place. When the final checkered flag of the season flew, Day had an impressive average finish of 7.67 through the 12-race season. Ending the year runner-up in the standings to Ander Vilarino, he proved why he chose the world of stock cars over open-wheel racing. But how did a rookie finish runner-up in the standings in his first year in stock cars? When the green flag waved at Autodromo dell’Umbria, the green and black No. 54 Chevrolet led the way after winning the pole by over one-tenth of a second ahead of Rocca. After that, he never looked back. Day won his first Euro Series race in the semifinal round, giving an Israeli driver a victory in a NASCAR-sanctioned division for the first time. As he pulled into Victory Lane, the blue and white Israeli flag was raised in the air, showcasing the nationalism that Day has for his home country. 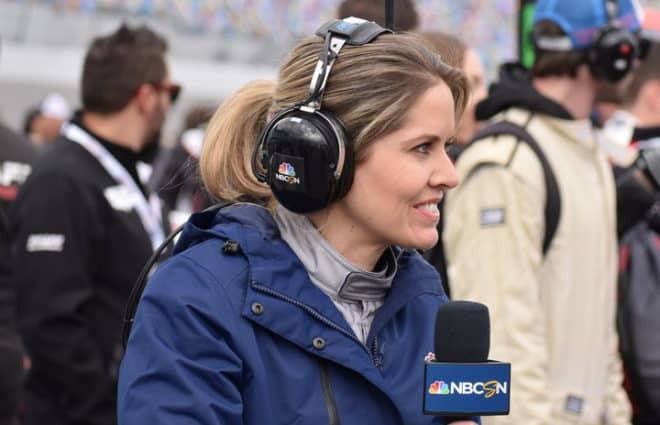 “I had the opportunity to meet Alon at [Raceway] Venray in the Netherlands last year,” George Silbermann, NASCAR Vice President, Regional and Touring Series, said. “I was very impressed with his skill behind the wheel. But I really thought he had a lot of the ingredients essential for success in this sport, like how he interacted with fans, how he presented himself with the media and the preparation he put in behind-the-scenes. After his impressive rookie season in stock cars, Day is set to embark on his second year with CAAL Racing. However, this time around, expectations are much higher for the No. 54 team. Kicking off the season in Valencia, Spain at the 2.517-mile road course on April 23, Day looks to start the year off with a bang. With a history of competing in GT cars, road courses are where he got his start in racing. But using his experience from 2015, Day’s season is increasingly looking optimistic. The biggest challengers, reigning champion Ander Vilarino and 2014 champion Anthony Kumpen, look to stop him from taking the crown in 2016. Day’s path to stock car racing is quite different compared to those around him in the Euro Series. Israel is quite a young nation compared to the majority of the countries that Euro Series drivers hail from. Being recognized as a state in 1948, the country’s flag stood high with the Star of David placed at the center. However, a series of wars have erupted over the past 68 years. Ashdod is approximately 39 miles from Gaza, a territory controlled by Hamas. Rockets have struck Ashdod over the past few years, but most attacks have been prevented by Israel’s Iron Dome – an air defense system that can intercept missiles. Growing up in the area, Day found racing after his father purchased a go-kart as a birthday gift when he turned 10. 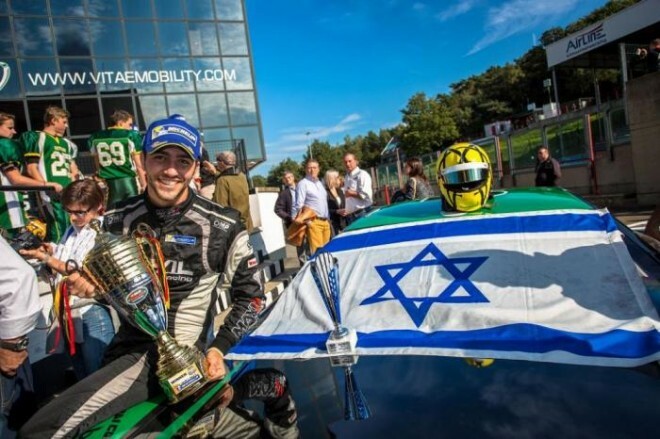 Finishing second in the Israel Karting Championship, his career took off, traveling to compete across Europe. Following his brief stint in America with Indy Lights, Day went back to Europe. That’s where he found the GT cars. The FIA GT Series, which races across Europe, become Day’s new home. He raced there for two seasons, picking up a win in 2013 with the HTP Gravity Charouz No. 1 team. His victory came at the third circuit of the year in the Netherlands. With five podium finishes, he ended that season fifth in the standings. But in 2014, he recorded just two podiums, ending the year 15th in points. But before he made the jump to GT cars, Day competed in the Asian Formula Renault Challenge, where he won the 2009 title. During that season, he won six of the 14 races with an additional seven podiums. He later made the jump to Germany, competing in the German Formula Three Championship in 2010 and 2011. Though he never won a race in Germany, he finished both seasons inside the top 10 in the standings before making the temporary move to America. Back in his home country of Israel, there have been a mere three racecar drivers in its history prior to Day. 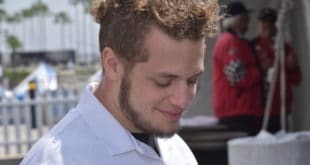 Erez Liven attempted to become a Formula 1 competitor, but failed to do so after working his way through the rankings. He raced in the Formula BMW ADAC in 2003. In 10 races, he finished 25th. After that, he made seldom appearances in smaller divisions. But the big names in Israeli motor sports are the father-son pair of Chanoch and Roy Nissany. Chanoch, now 52, was a Formula 1 test driver for Minardi in 2005, just before the team was purchased by Red Bull to create Scuderia Toro Rosso. Chanoch participated in a practice session with Minardi during the Hungarian Grand Prix that year. Though he didn’t get to compete in a race, he was the closest an Israeli has come to making an appearance in Formula 1. As for his son, Roy, he currently competes in the World Series by Renault, otherwise known as the Formula Renault 3.5 Series. He spent the 2013 and 2014 seasons running in the FIA European Formula 3 Championship, but failed to record any podium finishes in a combined 63 events. While Roy won one race in 2012 in the now-defunct ADAC Formel Masters division in Germany, his level of success has yet to mature. 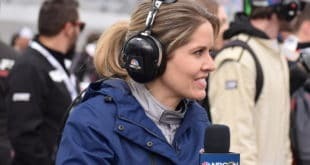 Compared to Day, who has seen success in open-wheel and GT classes, none of these drivers have been able to win multiple events in motor sports. 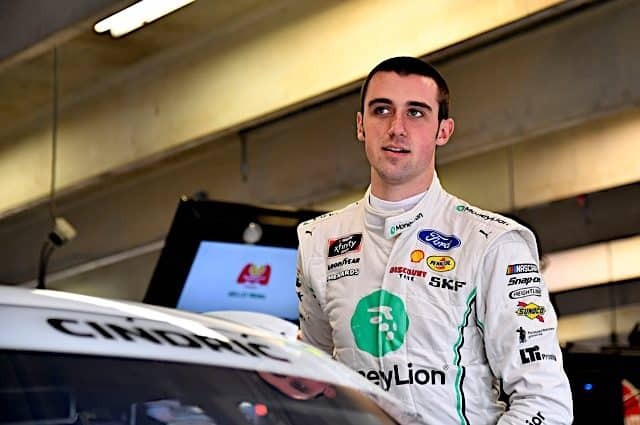 As he enters his second season in the world of NASCAR competition, Day looks to become the first Israeli champion in NASCAR history. Leading his country on the racetrack, it is a sight Day has become accustomed to. Being the first Israeli driver to make noise in the stock car realm, he is now one that people look up to. For a country known for its basketball and soccer stars, he is beginning to inspire young racers in Israel. While there could be more opportunities for Day to return to open-wheel racing in the future, he remains optimistic about stock car racing. Day is fairly certain that he wants to follow in Kumpen’s footsteps, attempting to make the hurdle over to America. Kumpen ran three NASCAR XFINITY Series events in 2015 for Precision Performance Motorsports, recording an average finish of 26.3. This year, he will continue to compete part-time in NASCAR’s second-tier division for the organization. 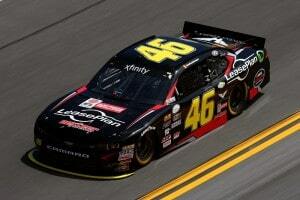 He started the year off running the season-opener at Daytona, finishing 26th in the No. 46 car. Similar to Day, Kumpen started out in GT cars before making the bold move to race stock cars. But the trip to America is one extremely difficult to make. Aside from talent and a stacked resume, a major check from sponsors is the key to making the move to NASCAR in America. With Day’s presence becoming increasingly known in the NASCAR realm, he hopes to bring Israel’s technology companies with him. 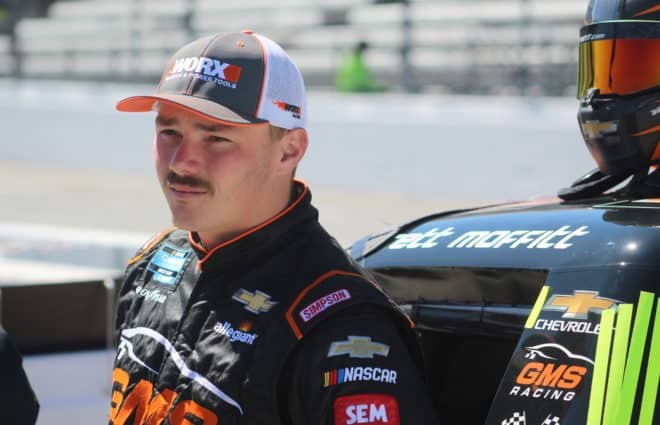 Since he lives in Tel Aviv, there are plenty of companies he may have his eyes on as he looks to become the first Israeli NASCAR driver in the United States. “If you look at the makeup of even in racing here in North America, we have a diverse group of drivers with different ethnicities and origins,” Silbermann said. “We’ve had drivers from other countries compete at the highest national level here. It is really important for us to have Alon – the first driver from Israel to win a NASCAR-sanctioned race – is huge. 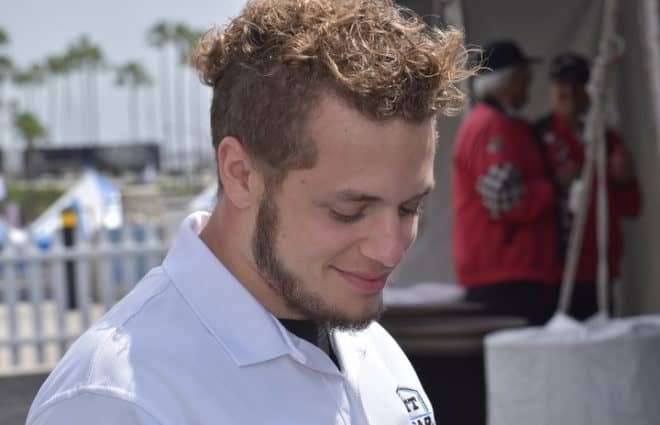 While Day attempts to become the first Israeli racecar driver to have success in the United States in the near future, he is also looking to be one of the first Jewish ones as well. Though not well-documented, there have been a handful of Jewish racers to break into a sport that is overwhelmingly dominated by Christian drivers. 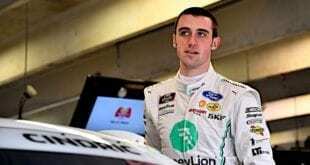 As part of NASCAR’s diversity efforts, Day could break into the top-three divisions as long as he shows the fundamentals that any other driver does. But with Israel’s top alliance being America, anything can indeed happen. Day hopes to use the alliance to his advantage as he looks to become a national icon for the Jewish state, one that seldom uses sports to overcome waves of terror shocking the nation. “I think in every bad thing, you can see the good thing,” Day said. “There are a lot of people against Israel. There is a lot of tension about Israel. If you turn it the other way around, there is a lot tension about me. I can take advantage of that, being more popular. I also won the most popular driver award this season in the Euro Series. best of luck to Alon. his nationality or religion should not be an issue. he seems like a decent person who wants to succeed and is working his way through the ranks. Good read! I wish him well.